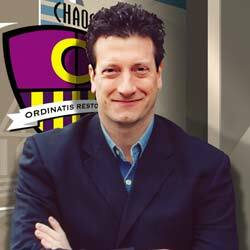 “Chaos Commandos helped organize our office, clearing space and finding a home for everything. Packing and moving can be daunting tasks to say the least. Change can be good, however, and the chore of packing and/or moving your belongings doesn't have to be so intimidating or overwhelming. With the proper organization, your move can be an enjoyable experience that provides you with the opportunity to begin your new life on the right foot. By choosing the best relocation services, packing services, and moving services, your move can become a positive experience that enables you to be introduced to new ways of doing things, new habits, and a more efficient way of life. Let Chaos Commandos remove the chaos from your move today! Taking inventory can play an extremely important role in the packing and moving processes. Our team of professionals will get to work by taking both digital and physical inventory before even one item has been packed. 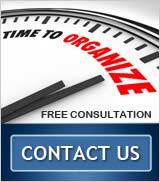 We will begin by constructing a photo and video-graphed inventory of each and every one of your belongings. Everything you own will be included in this inventory from collectables and memorabilia to the cups in the kitchen cabinet. By creating this visual catalog, you will have records of the condition and value of every bit of your property. The catalog can also be used as reference and documentation for any insurance purposes. Our packing services include the talent of some of the best professionals in the business who will assist you in making your moving experience more efficient and less stressful. We meticulously implement our unique labeling and tabbing system to organize your belongings by both category and by room. 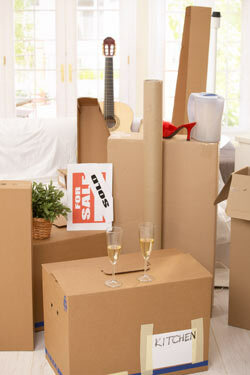 We will carefully pack each and every item with the attention your belongings deserve. In order for you to be able to keep track of your possessions, we will also create a digital packing list. You will always be able to locate that one item you seem to need once everything is packed- like your child's favorite bedtime book that helps you put him or her sleep. Although we are not actual movers, our team is affiliated with a number of very professional and reliable moving services, which enables us to include a complete relocation package including organizational packing services and moving services in our quote if you so desire. If you choose to add the expertise of one of these moving services, your carefully packed and organized belongings can be delivered to your new home with no additional hassle or stress. Contact us today for a free quote, and you can receive an additional 10% off of the total cost of our relocation services! 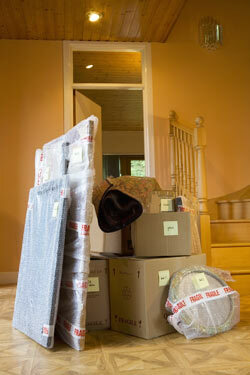 You will surely appreciate the expertise of our relocation services as you arrive at your new home. From beginning to end, our friendly team will be right beside you assisting you with important organizational decisions that will improve the harmony of your life. Before even a single item is unpacked, we will discuss any questions or concerns you might have about things, like where to put the desk, or for example, where to locate the houseplants to increase the energy and improve the flow of your new home. Chaos Commandos will assist you in the evaluation of the new space that you have and suggest the most organized and efficient placement of your belongings so that you begin life in your new home with a new perspective. It has often been said that there is a place for everything, and everything should be in it's place. Although it isn't always easy to find the correct place for everything, with a little help from our team and a little bit of creativity, you will soon discover this statement to be true. As your belongings find the most comfortable and efficient placement, you will begin to notice how much easier life can be. Life is busy enough without the constant stress and chaos caused by the clutter that so frequently surrounds us. Relieve yourself from the duties of packing, moving, and unpacking, then deciding where to put things, and you won't waste the hours it takes to locate various objects and furnishings because your first idea just wasn't right. By allowing our team of professionals to serve your needs, you'll be able to free up your time for the more important and enjoyable things in life, like taking a walk through the park in your new neighborhood, or appreciating an exhibit at that great new local museum. Our experience in the organizing, packing and relocating industry is such that we feel confident that we can assist you with your move regardless of your unique situation. Our packing services have been highly effective for a variety of individuals, families, and businesses throughout the metropolitan areas of New York City, and both Westchester and Fairfield counties. We have provided a variety of relocation services to people with small apartments, multiple sizes of single family homes, and even office buildings. In order to discover how much richer your life can be, let us take the stress out of your move, your new home, and the other various aspects of your life with our expert services. For more information about the services we offer, or to schedule your free personal no obligation consultation, you may reach us by telephone at (914) 949-9742. You can also fill out our simple form online by clicking the link provided on this page if you wish, and our team will be happy to get back with you as quickly as possible. We may ask that you provide us with additional information about your move as well in order to provide the most accurate of quotes. As a result, you will find yourself relaxing in the organized comfort of your new home in no time.